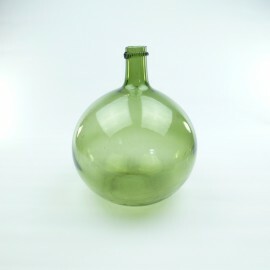 This is a beautiful authentic antique green Demijohn, circa 1940. 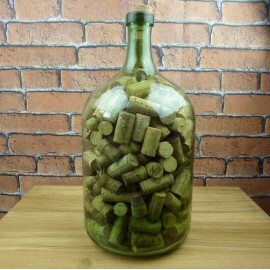 Full of corks!This is a good size for a decoration item. It can also be used to make a nice table lamp. 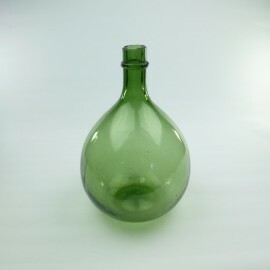 It is a lovely Demijohn. Unique Piece. 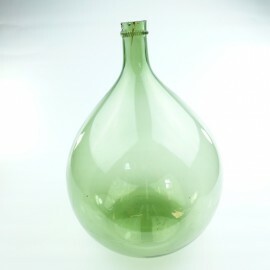 To view our full range visit our Demijohn Category. 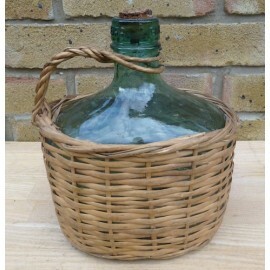 This is an amazing Antique Demijohn with its original wicker that was used to protect the demijohn from breakage. It can be a lovely decoration item. It can also be used to make a nice table lamp. Unique Piece. 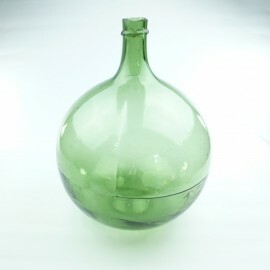 To view our full range visit our Demijohn Category. 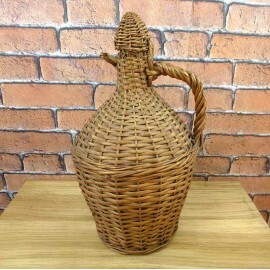 Vintage Wine Alcool Bottle with Rattan Wooden Basket - Bandeira This is a lovely Glass Bottle, with its wooden rattan basket around it. 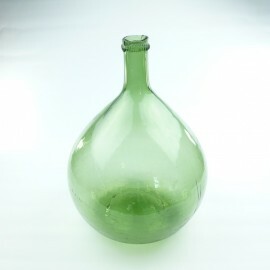 It was probably a wine bottle and from the name Bandeira maybe from Portugal or Spain.It is a lovely attractive item, for decoration in a kitchen or a cellar. 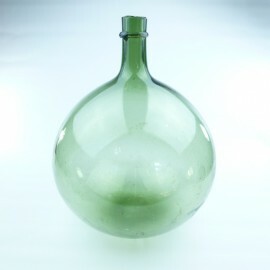 This is a beautiful authentic antique ovoid green Demijohn, circa 1840-1890. The neck has a hand string applied ring, circling the mouth and the lip is not smooth showing how it was broken off from the rod after being blown. Under:"8" (liters)Unique Piece. To view our full range visit our Vintage Demijohns Category. 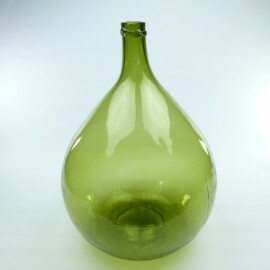 This is a beautiful authentic antique onion shape green Demijohn, circa 1840-1890. The neck has a hand applied ring, circling the mouth and the lip is not smooth showing how it was broken off from the rod after being blown. Unique Piece. To view our full range visit our Vintage Demijohns Category. 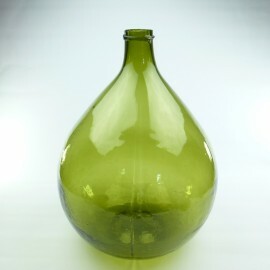 This Demijohn is really nice with its vibrant green. It has a really good size to make a table lamp or just as decoration on a console. It has some inscriptions on its neck: "BA and 0" and on its bottom: "BA - 814 - 2 - 8". Lovely bottle! 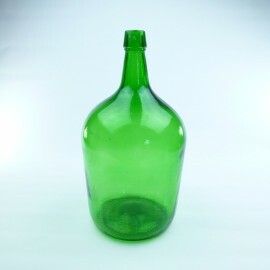 To view our full range visit our Vintage Demijohns Category.